Someone have Call of Duty on their Christmas list this year? Today only, while supplies last, Save 33% on Call of Duty: Black Ops 4 and Call of Duty + ASTRO A10 Headset bundle! 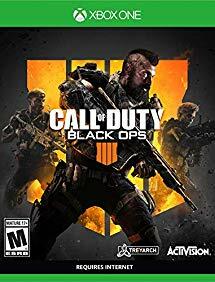 Get Call of Duty: Black Ops 4 for Xbox One or PS4 for ONLY $39.99!